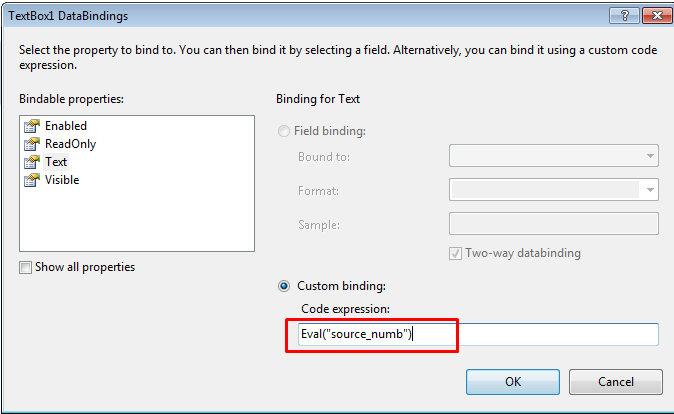 In this article I will show you how to bind data to textbox values in asp.net gridview control using c#.net. In this I will use asp.net, gridview control, gridview itemtemplate and c#.net. 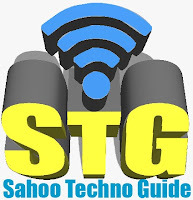 Some of my previous articles are as follows: Code to Select All Checkbox in GridView in Asp.Net Using jQuery, Highlight GridView Row on Mouseover Using CSS in Asp.Net C#.Net, Drag Drop Cells in GridView Control Using Asp.net C# and jQuery, How To Make a Single Row of DataGridview Bold Using C#.Net in Windows Application, Code to Export GridView to PDF in Asp.Net Using C# and Vb.Net, Binding Gridview By Access DataBase Using C#.Net in Asp.Net. 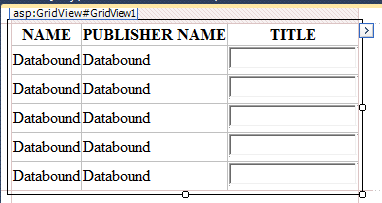 So for this article first we will create a new asp.net application and add the gridview control in it. 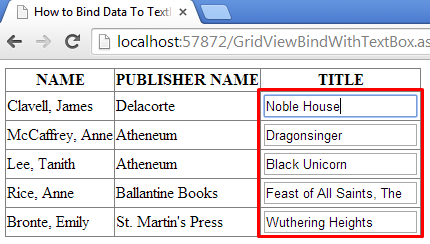 Now we will make autogeneratd column false in gridview property. 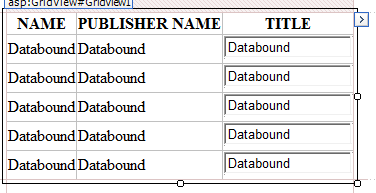 After this we will add bound column and TemplateField to bind the Textbox. Now we will select the tip of gridview. 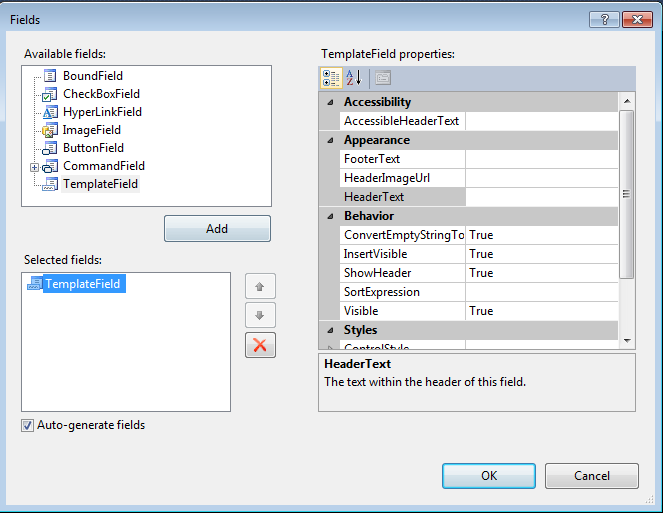 In this we will select edit template and add textbox in itemtemplate. After that we will bind the field. After that your fields will look as shown below. Now here is your aspx page code. <%@ Page Language="C#" AutoEventWireup="true" CodeBehind="GridViewBindWithTextBox.aspx.cs"
Now add the below code in your .cs page.